You may have noticed we've got a new set of wheels! 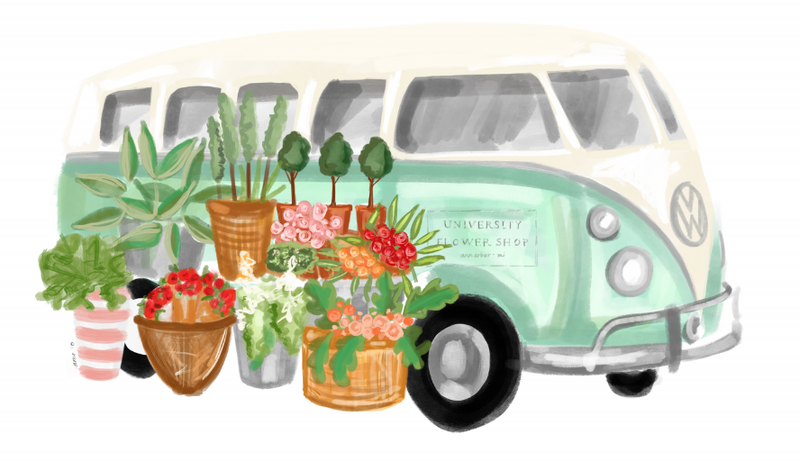 University Flower Bus brings the magic of our Nickels Arcade storefront to a neighborhood near you. This 1974 Blue Beauty made her debut showing at The Big House for commencement this past spring. Since then, we've been popping up at your favorite local businesses including Black Diesel Coffee, Whitetail Farm, and Morgan & York Fine Wine & Cheeses in Ann Arbor. We will resume Spring 2019. It’s too cold out there for baby blue!! Send Pop up Requests to ajb.flowerbus@gmail.com for next season.